Can you imagine what it would be like if there weren’t noisy cars everywhere spewing out smelly exhaust? Sounds nice, right? 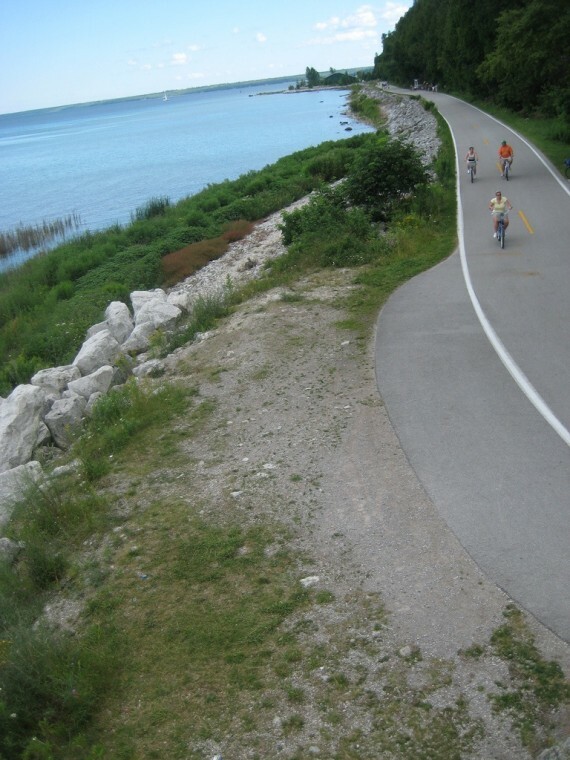 Well, apparently, there is a place that is just like that, and even located within the US — Mackinac Island, located in Lake Huron, has been car-free since all the way back in 1898. While most people nowadays are used to the presence of cars — and all the noise and pollution that accompanies them — when they first came on the scene more than a hundred years ago, there was actually quite a lot of opposition to them. They were even completely banned within some cities/towns. Over time, of course, priorities have shifted and those in power have relaxed the restrictions, but not everywhere. 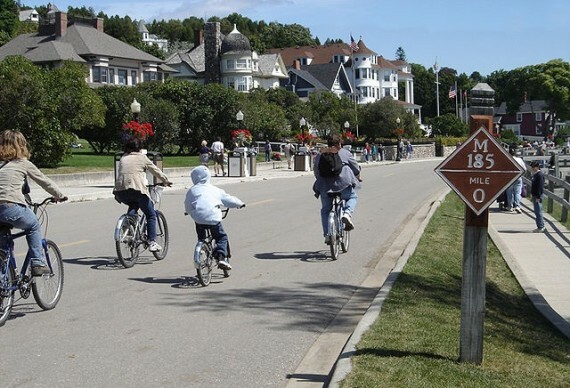 Mackinac Island — located offshore of mainland Michigan, in Lake Huron — never rescinded the ban on automobiles, or as one resident at the time called them, “mechanical monsters.” The residents at the time apparently objected to the noise and exhaust — in short, they wanted a cleaner, healthier, quieter environment. Pretty easy to relate to, no? While the city now serves primarily just as a vacation spot during the summer months, it does give us a glimpse into what life would be like if gas-powered automobiles were completely phased out and replaced with bicycles, electric vehicles, or some other option — and it certainly seems nice…. Although the small island is home to only around 500 people, in the summer, that number swells to 15,000 during tourism season; aside from a couple of emergency vehicles, there’s nary a car to be seen. Transportation on Mackinac is limited to walking, horse-drawn carriages, and bicycling — a pleasant departure from the car-centric society that exists beyond its borders. Sounds like a big improvement to me…. I’m disappointed to say that I actually hadn’t heard of Mackinac Island until only very recently — and now I can hardly stop myself from heading there right now. Have any of our readers been there before? Any thoughts?